These records offer insight into the economic status of Oklahomans during the 1930s. The manuscript archive includes information for several counties, and there are more than 100,000 names included in this database. These records are located in the William H. Murray Collection [1982.294]. 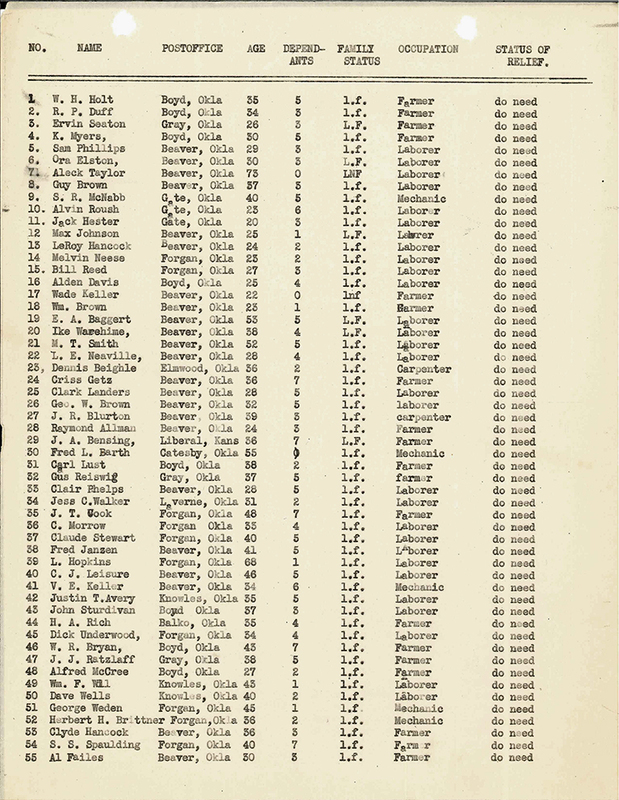 The records are fairly uniform and consist of typed pages (see example below). Some records include the individual's city of residence, race, and marital status. Records for Logan County also list the person's physical condition, property owned, income, and their spouse's health status.